Collectively, Spencer, Justin and Tyler Hall represent an acting juggernaut with more than 20 years experience honing their craft on stage and in film. Yet, what is amazing is that these three well adjusted kids from the suburbs of Long Island are just 9, 11 and 13 respectively and continue to gobble up one meaty role after another. 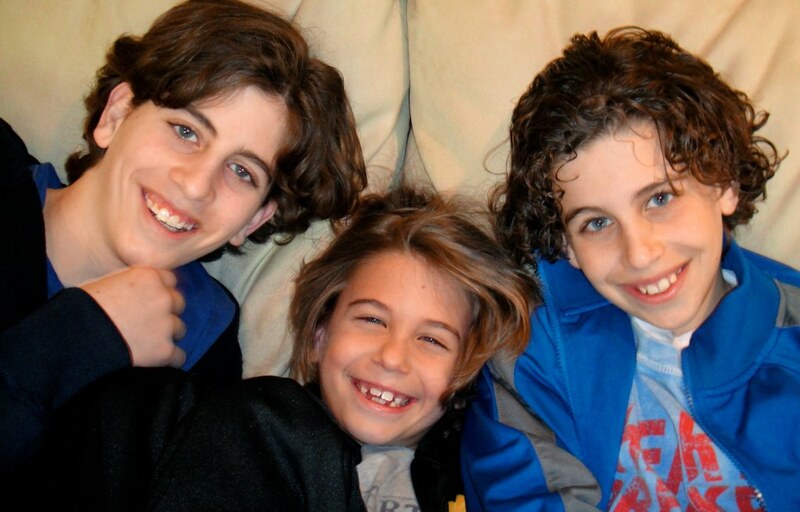 From one project to the next, the Hall Brothers (http://www.thehallbrothers.com) garner rave reviews from the directors, casting agents and fellow adult actors who come in contact with them. They universally point to a maturity level uncommon in young boys, a readiness to learn and an endearing, playful side that seems to brighten the cloudiest of days. The brothers attended their first “red carpet” event this week in Fairfield, Connecticut at the premier of the short, “Fishbowl”, directed by Ryan Duff. This entry into the annual Cinefest Festival features all three Hall boys, with young Spencer cast as the lead (Jordan) in a heartwarming tale about a boy and his pet goldfish. Tyler plays Spencer's older brother Michael, a teenager with an attitude and a natural resentment toward his younger sibling as he struggles to win the love and attention of their mother. Justin, meanwhile, appears in the latter part of the film as an energetic boy playfully catching mice in the woods in order to secure a delicious meal or two for his pet snake back at home. Together they forge an unusual bond, contemplating subtle aspects of life and death, amidst the beauty of nature, culminating in Jordan's heroic decision to set his beloved goldfish Steve free. Duff said the 12½ minute film was one of 15 selected for Cinefest and that the festival is well regarded not only on campus among faculty and students but throughout the community as well. The Counterpane Fairy - A little boy (Justin) is entertained by visits from the Counterpane Fairy, who treats him to stories associated with each of the squares in the counterpane. She has him concentrate on one of the squares until it turns into something like a doorway into the story. Once inside the story, he becomes its lead character until it fades out as if he's awakening from a dream. Director John Knowles and his Panman Productions are behind this film that will screen in June at the Brooklyn International Film Festival and features a number of prominent young, upcoming actors. “Our casting director, Melissa Gonzalez, was instrumental in finding Justin for the lead role of Teddy,” says Knowles, a rising star himself in film direction. “Melissa saw a lot of young boys for this role but knew right away that Justin was perfect. She came to me and said “this is your lead role” and so we stopped the process then and there.” Panman Productions is an interactive production company based out of New York City that focuses on live broadcasting, film, fashion, art and social media. After being introduced to Live production at Plum TV, Knowles worked to adapt the Live production model to his endeavors online. He helped to create and build the Roger Smith Social Media Program and was the executive producer of the 2009 Roger Smith Shorts Film Festival which generated six original short films. (For continuous updates on this unique project, visit the films’ blog site at http://www.thecounterpanefairy.tumblr.com. Something truly unique and exciting is brewing in the entertainment world – Spencer, Justin and Tyler Hall comprise the acting, singing and dancing Hall Brothers, a real life triple threat! Ranging in age from 9 to 13, the brothers have fashioned a collective footprint that has directors, agents, music arrangers and fellow actors singing their praises. With more than 30 films, plays and music videos under their collective belts, The Hall Brothers keep raising the bar for young performers. These three young boys are mature, disciplined and focused beyond their years and the industry is taking note of their immense talent.